In our endeavor of increasing our global outreach to provide knowledge and insourcing solutions in every nook and corner of the corporate world we are always on the look-out for organizations and groups willing to partner with us and join our revolution to change the face of global insourcing. We are a relatively young organization which has risen to the top of our market domain in a short period of time. As we are increasing and growing we welcome any addition to our organization that may prove to be a symbiotic relationship helping in the growth of both partners involved. We have maintained an impeachable record in the industry for the years passed in this market and will continue to do so in the years to come. We have certain standards and growth principals that we follow, which you would also benefit from once you partner with us. We are currently operating out of India with our headquarters in Noida and branch offices in Pune and Bangalore. 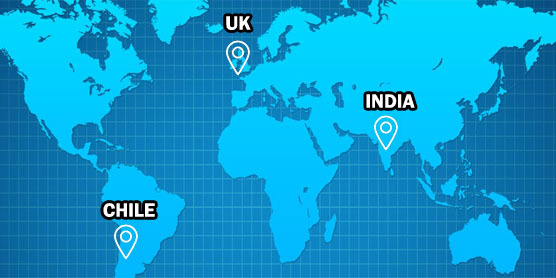 We also have support centers in US, UK, Australia and Canada. We would welcome organizations to partner with us in the Indian subcontinent as well as other regions all over the world. We are willing to include insourcing institutions, Schools, Colleges, other insourcing solutions providers and corporate organizations under our knowledge distribution umbrella. We realize that only when we distribute the knowledge we gain from our resources, our prospects for gaining more knowledge will increase. We firmly believe in the principle of knowledge sharing and symbiotic growth. We offer all forms of partnerships including; but not limited to; franchisee providence, Resource sharing and much more. When you join hands with us, you will be introduced to an immense industrial network that we have built over the years. Our close links in the industry help us in gaining insights of the contemporary technological and industrial trends along with the directions in which the industry is moving. We always share all such resources with our partners when and if required. We believe in inculcating long standing professional relations that will help the partners symbiotically to improve and grow in the industry. Come and join the industrial revolution 4.0 with Aurelius and be a leader in the changing world of global insourcing and Knowledge Solutions.